How do we better understand, measure and address child malnutrition in the 21st century? The goal of this symposium was to move forward on the agenda of improving the way we measure forms of malnutrition to better deliver sustainable impacts, with an emphasis in the context of food-based programming. 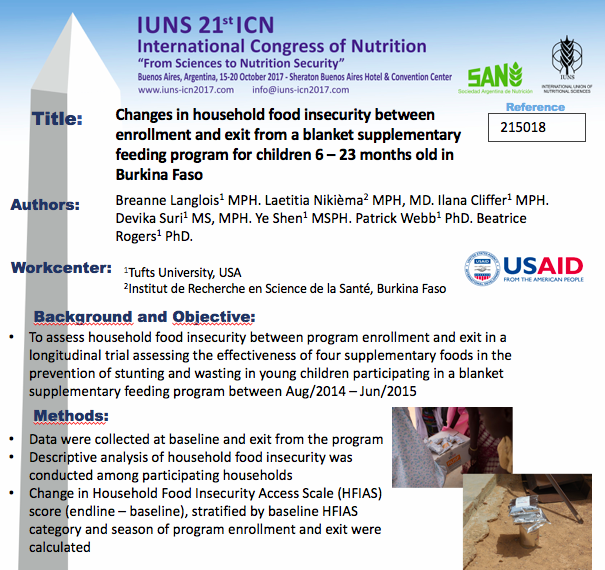 We focused on three areas of emerging research in the area of measuring child malnutrition and “recovery” outcomes, including: protein quality, environmental enteric dysfunction and body composition, with speakers addressing the current evidence, challenges and research needs going forward. On Wednesday, October 18th, the Food Aid Quality Review project of Tufts University hosted a symposium aimed to raise the bar on how we use specialized nutritious foods in food aid. Researchers from UC Davis, Tufts University, and Copenhagen University synthesized the latest evidence on food aid products that field experts from the World Food Program, Action Against Hunger, and Valid Nutrition interpreted this evidence through a programming lens. We explored the practical challenges that come with a growing knowledge base for in-kind food aid interventions. The event was hosted with funding from the Office of Food for Peace (FFP) of the United States Agency for International Development (USAID). 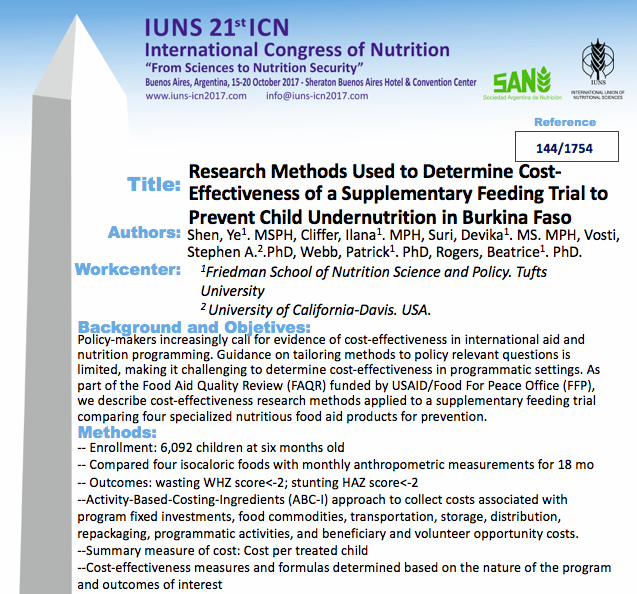 This poster demonstrates how cost-effectiveness research has been done by FAQR and informs good research practice important to generate cost-effectiveness results for food aid/nutrition policy and programming. This poster directly addresses dynamics around household food insecurity. 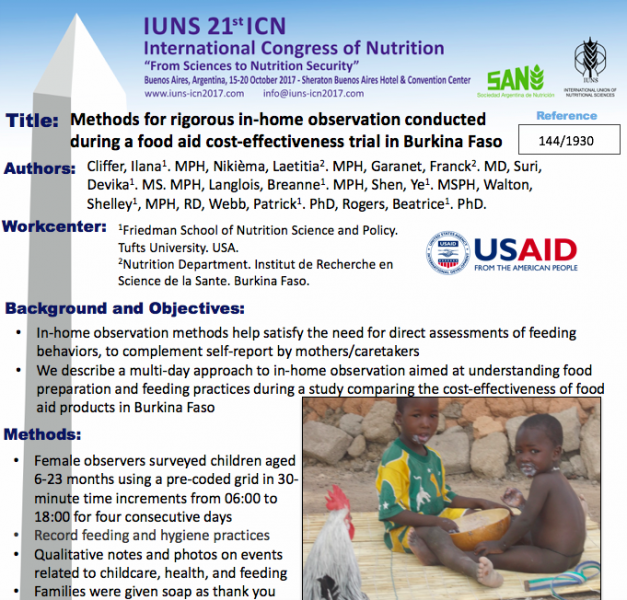 This work describes challenges and opportunities in conducting multi-day in-home observations in the context of supplementary feeding program research in Burkina Faso. 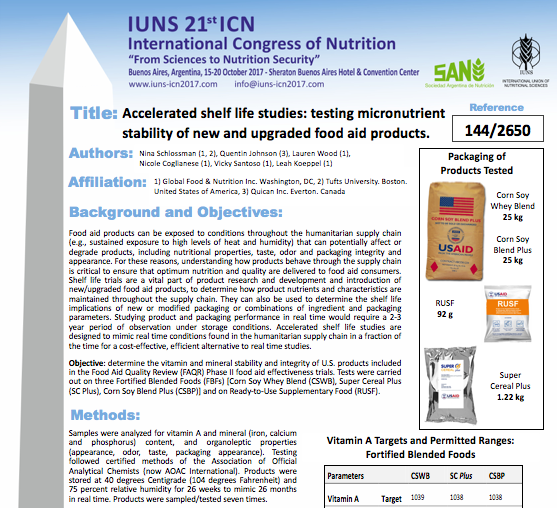 Presents and analyses the vitamin and mineral stability and integrity of U.S. products included in the Food Aid Quality Review (FAQR) Phase II food aid effectiveness trials, and discusses the benefits of accelerated shelf life trials for food aid products. There are no resources to display that match the given criteria.